Choosing a cremation can save you money. You can save up to 50% compared to the cost of a full funeral. Start from 88p per day. Request A Call Back & Free No Obligation Consultation. As there are no funeral arrangements to plan and pay for, and no casket involved, cremation services are a great way to save money on the cost of a funeral, while still giving your loved one a fitting send of. Save up to 50% on the cost of a standard funeral. Pay for a cremation service with a flat rate, or in monthly instalments! By creating and lodging your cremation service now, you will avoid annually rising costs in these products. Once created and lodged your price is fixed and can never be altered. At Glasgow Funeral Plans, we want to offer all our clients the option to pay for their services in as many ways as possible. If you are unable to pay for a cremation service in one payment, you can start paying now from as little as 88p per day! 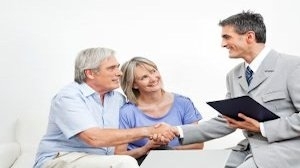 We do not sell products by phone or mail but provide a unique face to face consultation approach, supported by our expert team of Qualified Financial Advisors, who will review your circumstance’s as unique and provide you with the advice that is tailor fitted for you and your family requirements. For many people, the idea of organising a large funeral service can be both a stressful and daunting experience. For this reason, cremation services are becoming a popular alternative. At Glasgow Funeral Plans, we offer simple, fixed price cremation services in Glasgow to individuals who are looking for this alternative, while still wishing to give their loved ones a dignified farewell. Our client satisfaction is always our top priority, and its for this reason that our caring staff will listen to your every needs, and help you through the process of making the right choices for yourself and your loved ones. It’s important to ensure that you have the best possible send off to suit you and your family’s needs. At Glasgow Funeral Plans, we work with multiple award-winning cremation providers in Glasgow and around Scotland, so you can be assured that you’re getting the best possible cremation service available for what you wish to pay. There are a wide variety of flexible options available, with plans starting from as low as 88p a day. 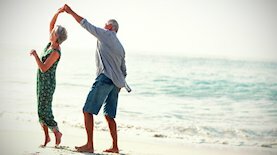 Contact Glasgow Funeral Plans today, and let us take the stress out of locating your cremation service. No casket or headstone required, cutting down on natural materials such as metals, stone and wood. No space in the earth required – several cemeteries have very limited space available, leading to required expansions. Having a cremation preserves space. Scattering remains is eco-friendly, and a natural way to return cremated remains back to the earth. Having had problems with a company that my husband had dealt with on the phone, we spoke with Oliver at Glasgow Funeral plans , who then sent a financial advisor, John to meet with us at our home.John is very personable and easy to talk to and covered all the points which were so important to us, including Wills, funeral planning and Power of Attorney. We are now happy that we have everything in place and it has given us and our children peace of mind. Come rain or shine, we are only a phone call away. 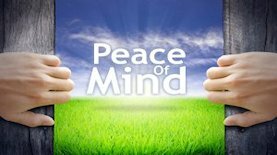 You can take it from us and from the best advisers within the industry,a guarantee of giving you peace of mind. Please do get in touch today.